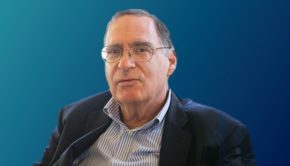 Professor Eric M. Freedman discussed how the failed Time Square bombing could impact the Obama administration’s decision to hold the trial of 9/11 mastermind Khalid Sheikh Mohammed in Lower Manhattan. The administration initially said it wanted to hold the trial in the city, but now says it is considering other options as well. Attorney General Eric Holder said Tuesday the administration is still weighing all options.